The world-wide bed bug infestation continues to rise as the tiny bloodsucking insects invade homes, businesses, planes, trains, automobiles, and any other location that offers a snug environment and readily available food sources. Another area being hard hit by bed bugs is the hospitality industry. Namely, hotels, motels, inns, resorts, and bed and breakfasts. This includes 2-star to 5-star establishments. No business is safe from the small marauding bugs. One thing that is adding fuel to the fire about bed bug infestations where hotels are concerned is the negative reviews being posted on popular social media sites. With multiple places available where disgruntled guests can share their bed bug experience with millions of people with an instant post, hotels are losing ground fast and taking a hit financially. A negative post can have a potential guest think twice before booking a room and this has many hotels scurrying to meet the problem head-on by hiring pest control companies to immediately address the problem. For residents and business owners who are experiencing an infestation, you need the expert services of a NYC bed bug control specialist. Trying to rid the problem on your own will most likely not be successful. At Stern Environmental Group, our NYC bed bug control technicians have the experience, products, and the treatments available to rid your property of the pesky pests. Call Stern today and be bug free, tomorrow. Manhattan pest control experts know first-hand how bad bed bug infestations can be when they infest a single family home, apartment building, or hotel room. While it is important to watch for bed bugs in any place that you lay your head, it is also important to watch for the blood thirsty pests in other locations as well, according to reports from the National Pest Management Association. It’s springtime once again and the release of the new “Bugs Without Borders” from the National Pest Management Association and the University of Kentucky will have some folks in the United States scratching their heads, if not their entire bodies. The new reports show some daunting statistics for the battle against bed bugs in the United States for 2013. While some states like New York have seen a decline in bed bug reports this past year, others have experienced an increase in bed bug reports. 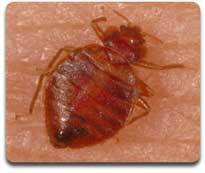 This upswing proves that bed bugs continue to spread from state to state via human transport. In fact, according to the new Bugs Without Borders report, 99.6% of all pest control professionals surveyed reported that they treated bed bugs in the past twelve months! Bed bugs are able to travel up to 100 feet each night to feed upon their intended victim/s so it is important that a pest control professional be called as soon as the pests are first sighted. 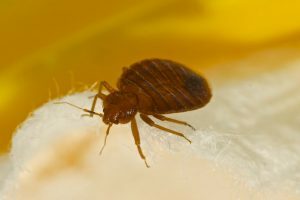 Will Bed Bug Laws Finally Be Established In Connecticut? Three new proposed Bills meant to take a bite out of bed bugs in Connecticut are currently being considered by lawmakers. The ctpost.com reported on February 16, 2013 that the General assembly is considering establishing guidelines that will spell out the different responsibilities of both landlords and tenants when bed bugs are present in a rental property or other multi-unit facility. Other Bills that legislators are considering is how bed bug infestations will be handled when they are found in public housing facilities and non-public housing facilities. The passing of proposed Senate Bill 334, House Bill 5621 and House Bill 5619 is important for all residents in the state of Connecticut. Perhaps lawmakers can create similar legislation to that which exists in New York. For the past several years, New York City has experienced a steady decline in the amount of reports of infestations in homes, businesses, stores, hotels, office buildings, and multi-unit housing facilities. This is not the first time that bed bugs have hit the political arena in Connecticut. Last year, lawmakers went round and round arguing over who was responsible for paying for bed bug infested rental properties in the state. Legislators discussed creating a bed bug task force to study ways to control the pests, but it never came to pass. After much debate a proposed bed bug Bill was passed by the Senate but subsequently died on the House floor. Everyone is hoping that these new negotiations will yield a healthy balance of good results for both tenants and landlords so that there is a better understanding of who is responsible for what costs, and how things must be handled when it comes to bed bugs in the state. Bed bugs are a difficult pest to eradicate. It is always best to call a licensed pest control professional with extensive experience in bed bug removal when the bloodsuckers are present.